JAVA allows a class to have different methods with the same name but with different signatures. This is called method overloading. 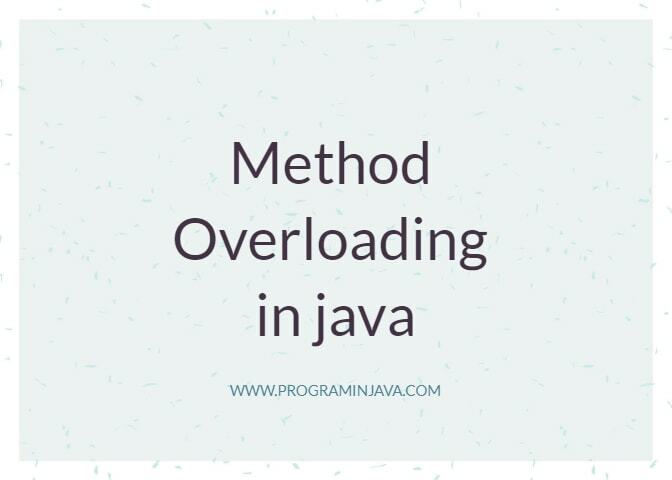 Before we understand method overloading in detail, let’s quickly look at the structure of a method in JAVA. Method name: The name of the method. Method arguments or input parameters: The parameters that are passed to the method at the time of calling. We can also have methods without an argument. Method body: This includes some operations that the method performs. Return type: This is the type of argument the method returns to the calling module. 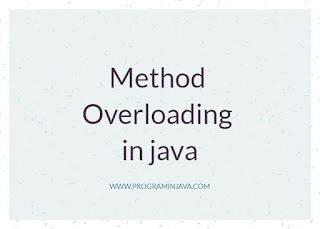 In Java, method overloading is supported only when the methods differ with each other by the number of input parameters that are passed to the method, the type of those input parameters or the sequence of input parameters. In the above example, Class ‘Addition has two methods named ‘sum’, but they differ with respect to the number of input parameters. The first method takes two integers as input while the second method takes three integers. Java decides which method to call depending upon the input parameters when the program compiles. Hence, method overloading is also called compile-time or static polymorphism. From method with integer input parameters. From method with String input parameters. Method overloading also happens when two methods differ by the sequence of data type of parameters. At the time of calling, first method will be called if the first parameter is integer and second parameter is double and the second method will be called if a double value is the first parameter and an integer value is second. // first method will be called since the first value is integer, second is double. // second method will be called since the first value is double, second is integer. Why Method Overloading is not possible by changing the return type of method only? In the above example, class ‘Addition’ has two methods with the same name i.e. ‘add’ and same input parameters, but they both return different data types; first method returns an integer whereas second method returns a double data type. But, since method overloading happens at compile time, the compiler has no idea which method out of the two should be called. Note that while calling the method there is no reference of the return type and hence the ambiguity arises. Therefore, this type of overloading is not supported and Java throws a compile time error. Can we overload java main() method? Yes, we can overload the main method. You can have multiple overloaded main methods inside a single class. In the above example, the class application has two main methods (highlighted in yellow), one with a string array as an input parameter and another one with two integers as input parameters. Note that at the time of execution, JVM will always look for the original main method (with a string array as an input parameter). The overloaded main method can be called explicitly exactly like the other methods in JAVA (highlighted in green in the above example). Can static methods be overloaded? JAVA implicitly promotes one data type to another if no matching data type is found at the time of calling the method. 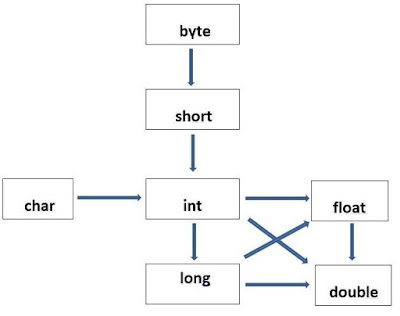 The byte datatype can be promoted to short, int, long, float or double. The short datatype can be promoted to int, long, float or double. The char datatype can be promoted to int, long, float or double. The int datatype can be promoted to long, float or double. 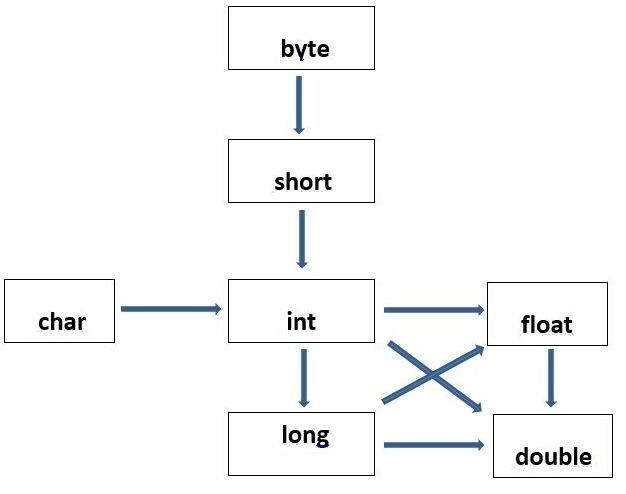 The long datatype can be promoted to float or double. And, the float datatype can be promoted to double. Note: JAVA does not de-promote a datatype while calling a method. In the above example, type promotion is done while calling the sum (highlighted in yellow above) method. Note that in the method definition (highlighted in green above), it is taking one int and one long datatype as an input parameter. But, while calling the method, two int parameters are being passed. Hence, java promotes the second int to a long datatype.